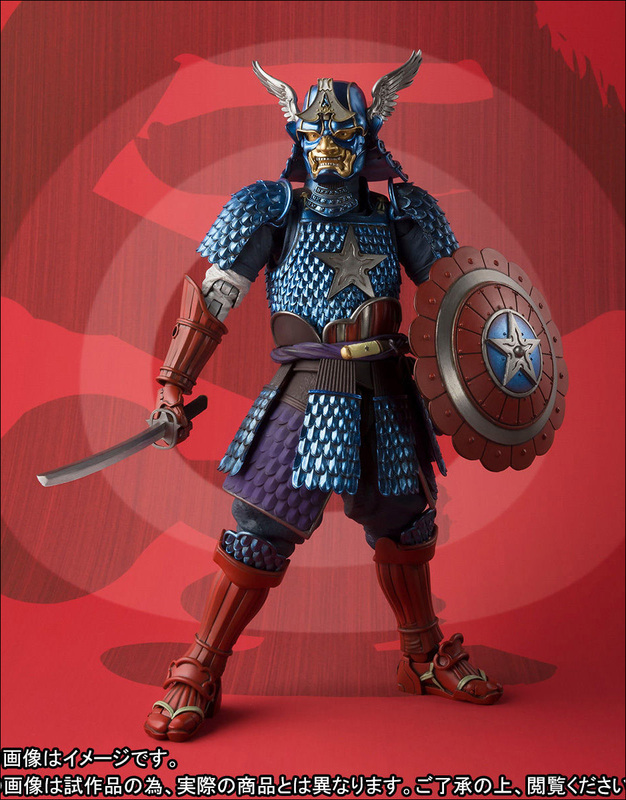 What do you get when you mix Captain America with a samurai warrior? Wait, why would you do such a thing? It does not matter. 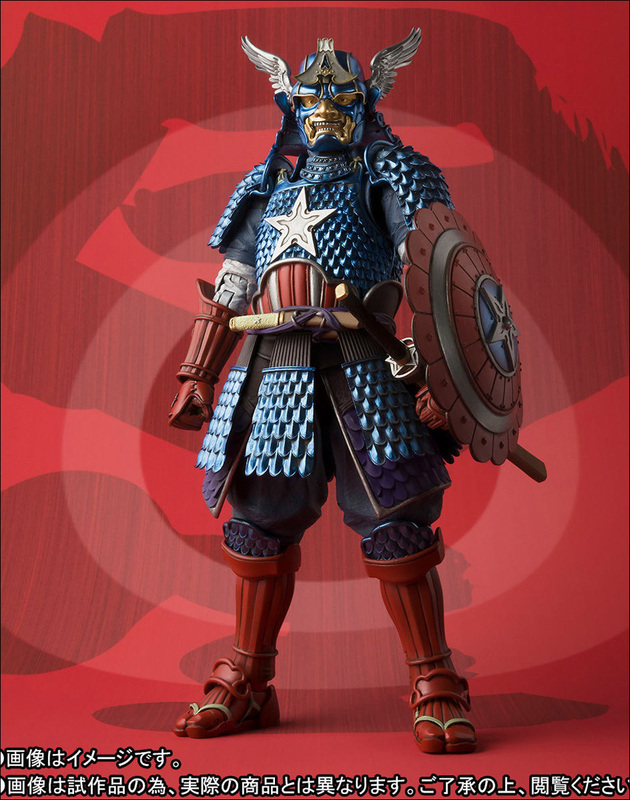 It has been done. 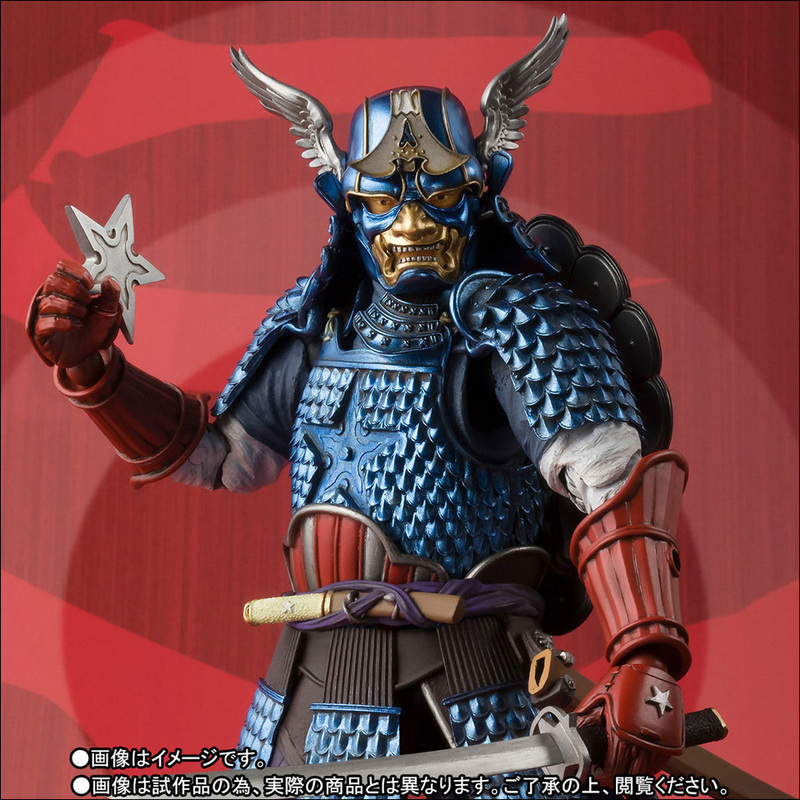 The Samurai Captain America Meisho Manga Realization Action Figure from Bandai Tamashii Nations re-imagines Marvel's star-spangled superhero as a samurai warrior. 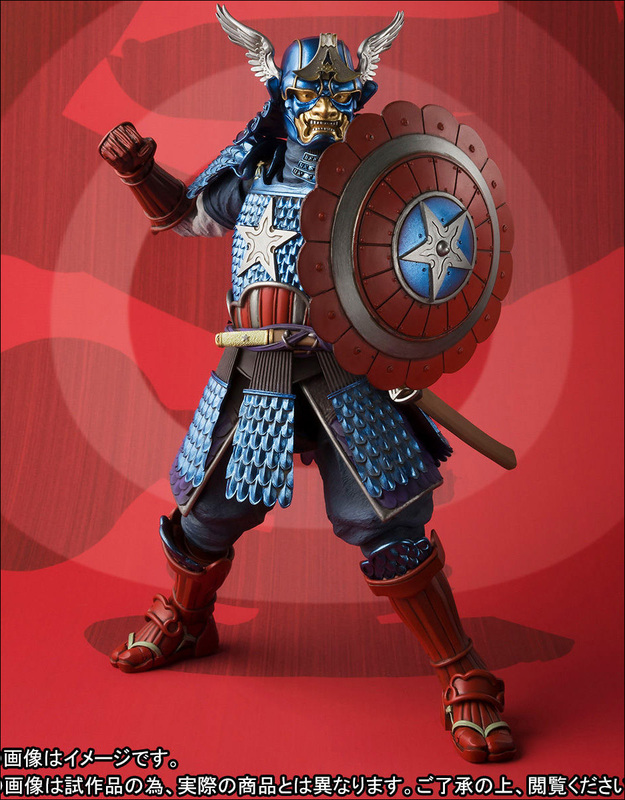 Standing about 6 9/10-inches, Samurai Captain America features a distinctive winged helmet and scale armor inspired by Cap's traditional red, white and blue Nazi-kicking super-uniform, remixed by sculptor Takeyuki Takeya. 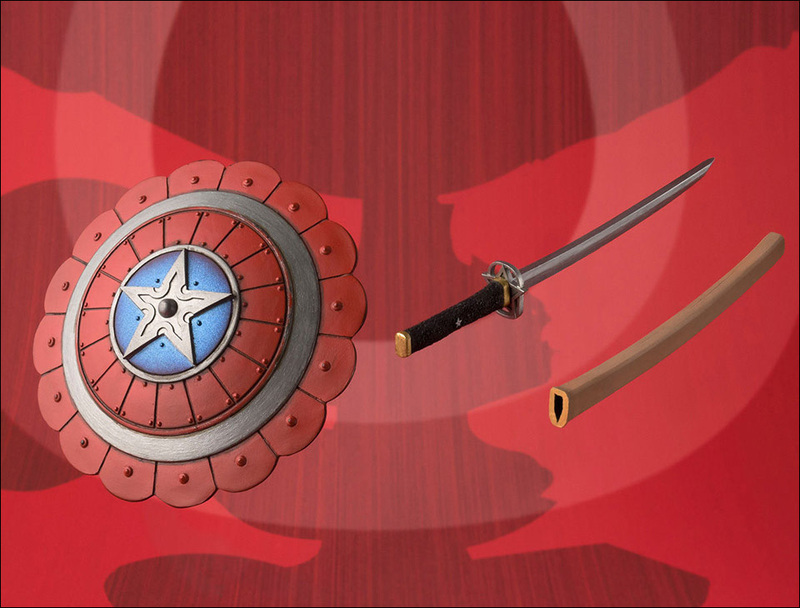 His chest star emblem is removable and becomes a throwing star. 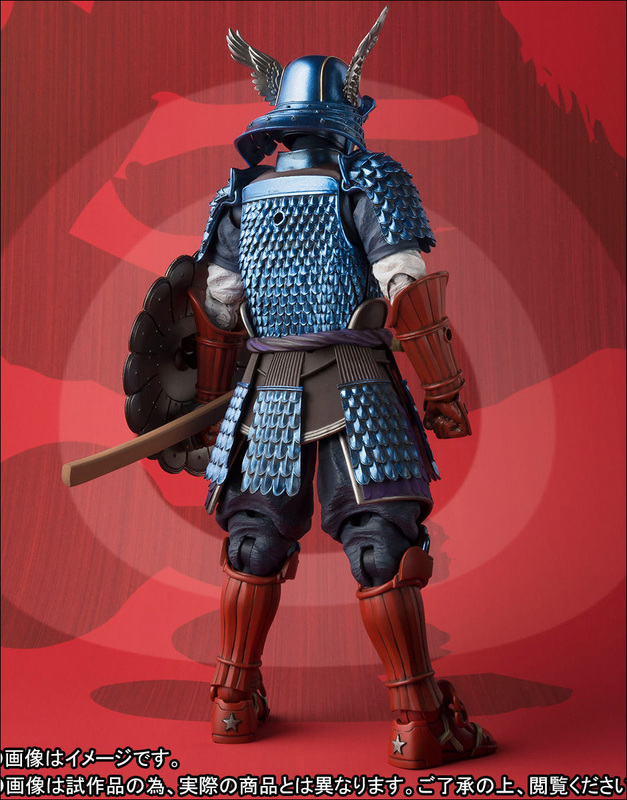 The figure includes four optional hands, shield parts and sword parts. 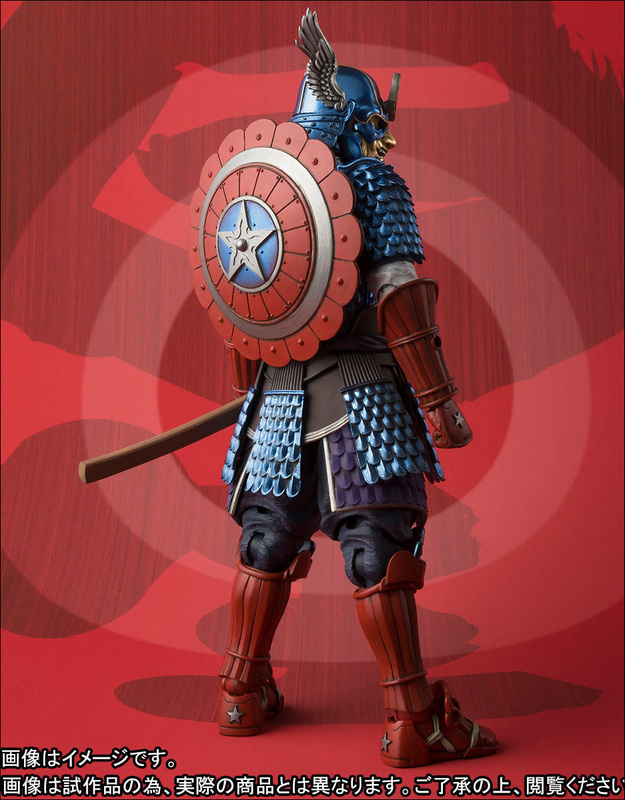 The Marvel Samurai Captain America Meisho Manga Realization Action Figure will be available in February 2018. 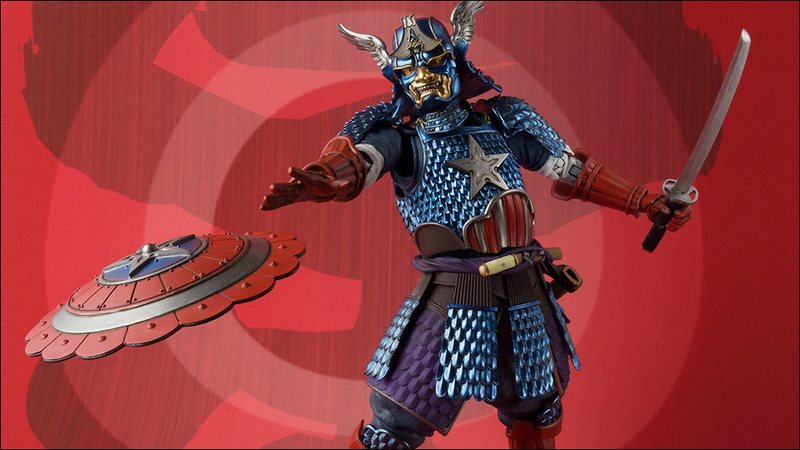 You can pre-order it now for $89.99 from Entertainment Earth. 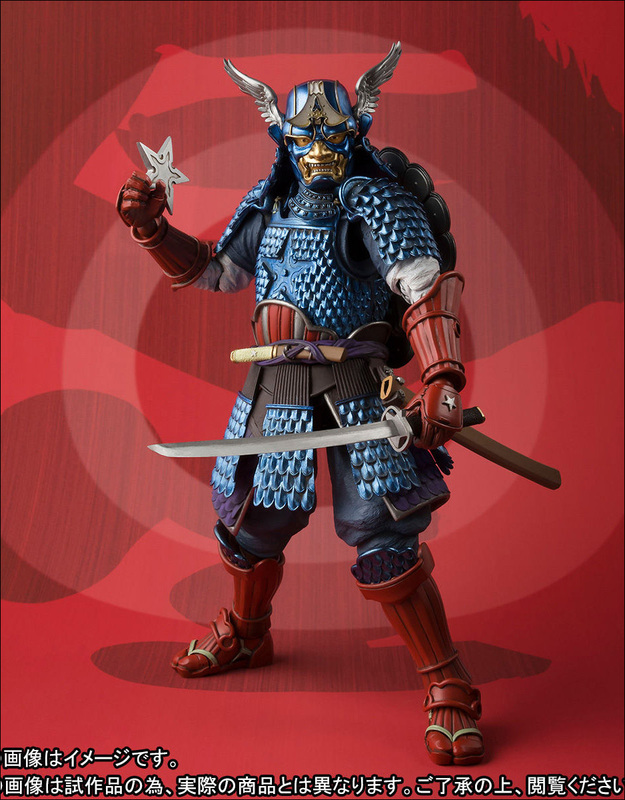 Take note: there are also some pretty dope samurai action figure versions of Spider-Man and Iron Man, as well as Darth Vader, Darth Maul, Jango Fett, Stormtrooper, Sandtrooper and Shadowtrooper.